Stairs are often necessary when designing the project and can be approached in several unique ways. Steps are designed with much attention, the proper heights and size will be taken into consideration to suit your personal preference. 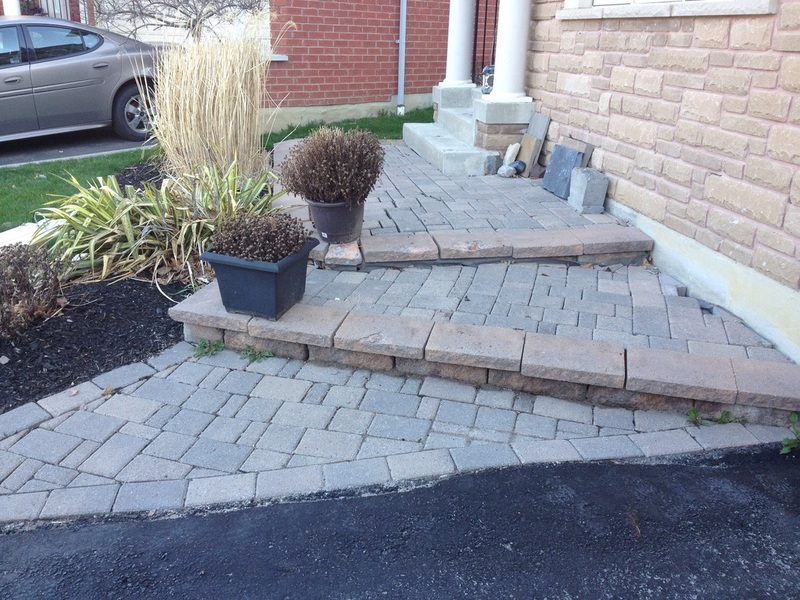 Interlocking will change the appearance & accessibility of your yard. Installing the latest pavers manufactured by reputable companies. Ranging in size, color, shape & texture the perfect pavers can be chosen. 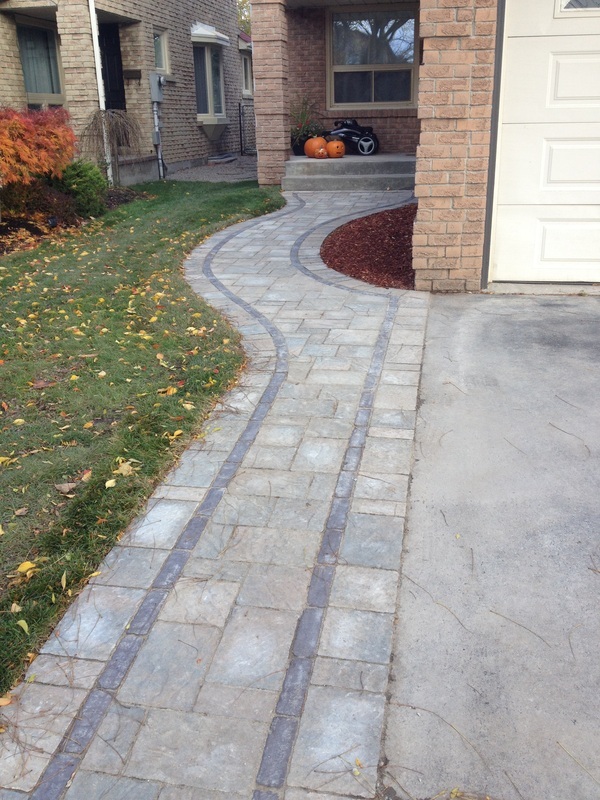 Whether you prefer smooth curves or tight, perfect angles your walkways will strongly compliment your house. 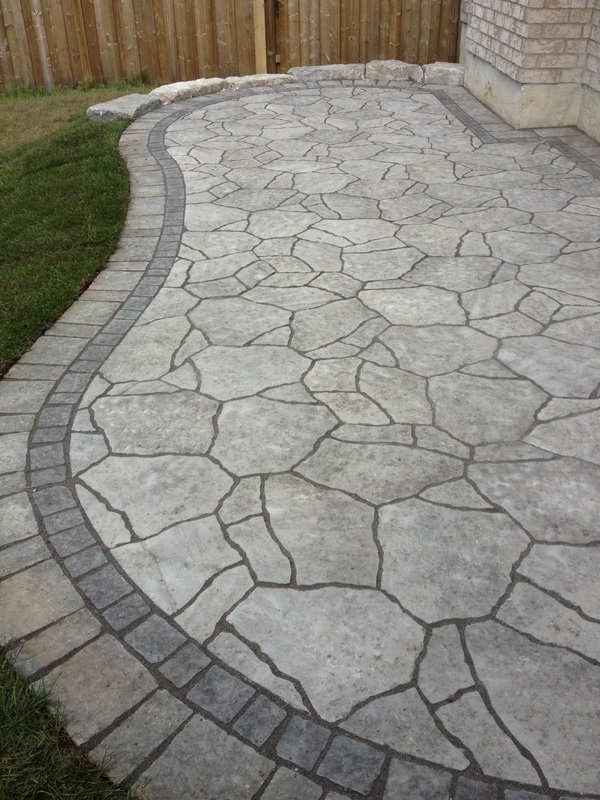 Driveway aprons, walkways, and patios of any size are just a few ways interlock can be used. 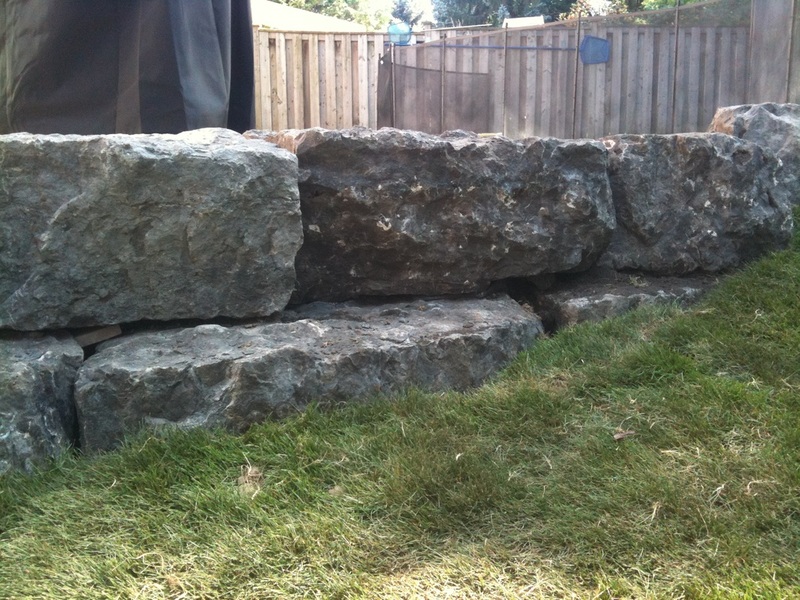 Retaining walls will be used in a variety of different ways. 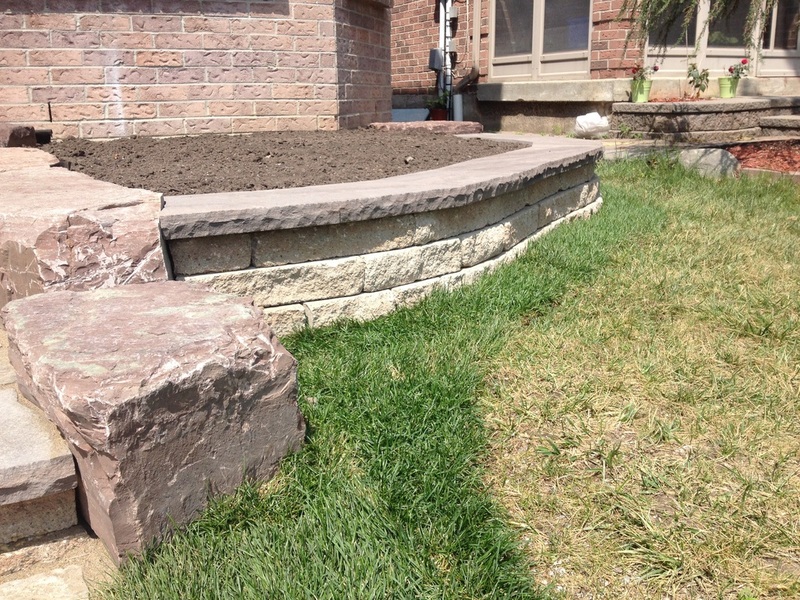 Whether retaining your raised patio, driveway or a garden, these walls will add height and beautify the landscape. Walls are built with an excessive amount of structural stability. Flagstone is manufactured in two different ways. Square cut flagstone gives a sleek, smooth, clean look while the random flagstone is naturally rough. 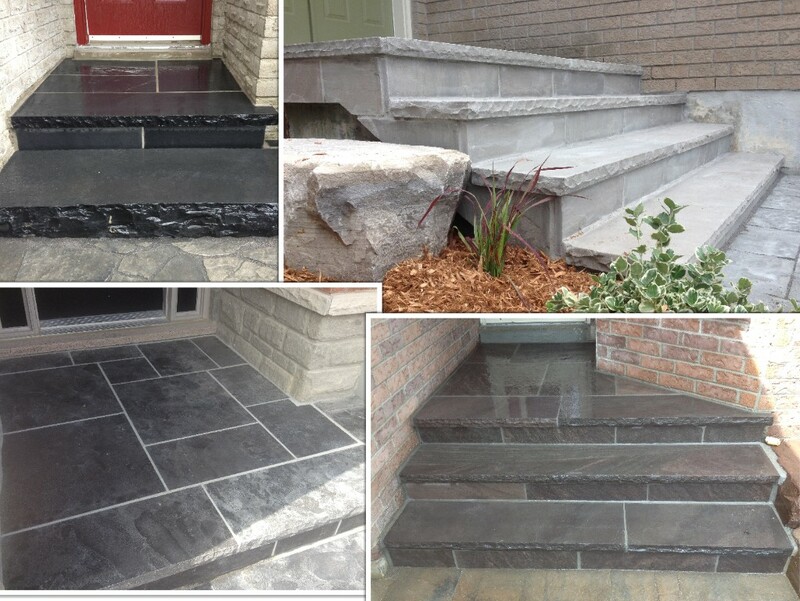 Flagstone will enhance your property by truely producing a natural look. Areas of any size can be transformed into a bright, healthy lawn. 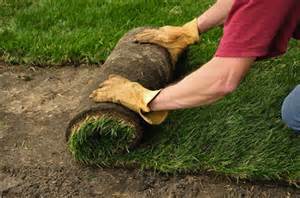 Sod is always properly installed using the latest nutricious soils and fresh sod. After completing any landscape construction in the yard, the proper care will be taken to any damage. Existing interlock can often be re-used, bringing back life to the landscape. Eliminating any tripping hazards and adding value to your home.